When your infrastructure grows, or your business objectives shift toward moving ever-greater volumes of data across further distances, we invite you to explore the Distance Extension solutions we can customize for your specific needs. The use of a transponder can be the most straightforward approach for meeting your distance extension requirements. The 100G output signals from your existing switches are converted to DWDM signals that can be transmitted over longer distances using solutions by Smartoptics and available from OSI Optics. For example, the DCP-101 Transponder removes distance limitations with a coherent DWDM CFP transceiver to connect the output signal of the DCP-101 to the line fiber and carry the signal over longer distances. Adding new sites and services to your networks can be expensive and will often expose the limitations of your service provider’s offerings. Many providers also do not offer storage services for synchronous applications and charge exorbitant rates for additional capacity. Our Optical Networking Specialists have a wide spectrum of customizable next generation xWDM solutions designed to ensure you get the most out of dark fiber. Talks to us today about increasing your network capacity with systems capable of anticipating your fiber network needs well into the future. We offer solutions to virtually every fiber optical transmission challenge. Now it’s possible to expand your bandwidth without the upfront investment or complexity of traditional xWDM systems. 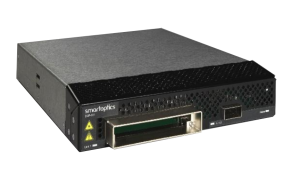 The DCP and M-Series by Smartoptics are truly open line networking systems, designed to expand your network horizons with any combination of embedded DWDM, transponder and muxponder traffic. Connect with our optical engineers for customized solutions to help you manage your own data and fiber networks with the world’s most power-efficient 100G transponder and 1U by 19” chassis. The DCP-101 is a 100G transponder designed to simplify 100G networking and build capacity, without adding unnecessary cost or hardware. It allows the use of the popular QSFP28 on the input and has a CFP output. This makes it possible to use smaller, more compact components but get the longer distance and DWDM connectivity of a larger, more complex system. DCP-101 has the lowest power consumption in the world of any 100G transponder and, at half the width of 19”, is also one of the smallest. 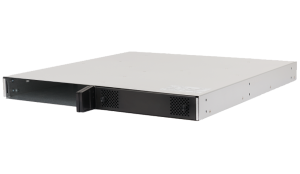 The DCP-2 is a 1U by 19” chassis that houses two DCP modules and provides a common backplane to slide into a single shelf in a rack. This 1U approach also makes individual module and spares handling much simpler than traditional transponder-based systems. platform is the DCP-2. The DCP-2 also houses the power and management for these DCP modules. The local DCP element manager completely removes the need for a centralized management board making networking more flexible. Each element manager has all the required control and diagnostics features with a convenient API for north bound interfacing in to any standard network management system. DCP modules can be placed close to the switches and routers whose traffic they need to transport are located. Low powered 1U modules instead of complex 5U+ systems. DWDM nodes distributed throughout the data center close to where they are required. Small form factor with no wasted chassis space. Each module is a fully enclosed EMI protected module that can be safely handled and easily installed. DCP offers all the features required for multi-protocol traffic transfer over a dark fiber network without the need for extensive buildup of knowledge or costs. A system easily handled by Data and Storage engineers. M-Series is an intelligent DWDM multiplexer offering a flexible approach to DWDM networking. It has two modes of operation: Functioning as an intelligent multiplexer in an embedded system, it enables the DWDM transceiver to connect straight from the host equipment to the corresponding port on the M-Series. 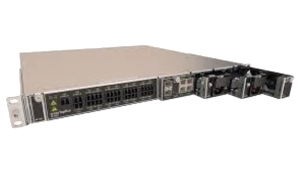 This embedded approach provides a cost-effective plug and play embedded DWDM platform combining the features of a traditional telecom DWDM system with the simplicity and cost advantages of a passive multiplexer. In doing so, it removes many of the limitations on distance and power budget. In the second mode of operation, it can be used as a flexible DWDM multiplexer for any ITU standardized DWDM transponder or muxponder systems. Inputs from such systems as well as embedded DWDM wavelengths can all be used together with the M-Series for optimal networking flexibility. Traditional telecom-based transponder systems used to be the go-to transmission solution because they offer system management and amplification for longer distances. With built-in channel monitoring, amplification and signal conditioning, M-Series eliminates these hurdles. As the most compact solution available on the market, M-Series marks an end to the need to design complicated systems which require time-consuming installation and continual maintenance. network is drastically reduced as is the required system wiring. Any combination of data and storage traffic can be connected together on the same system. Distances of up to 500km are easily achieved with standard DWDM ER transceivers. However, if shorter distances are required, M-Series can be used as an intelligent passive multiplexer. 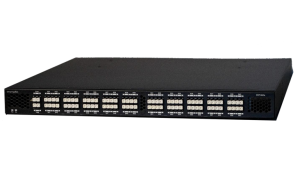 The M-1601 base model is a 16 Channel Mux/Demux which can be expanded to 32 channels by connecting the M-1600 module. The low power consumption (68W) provides a great deal of flexibility when planning the network and makes M-Series the ideal Data Centre connectivity platform. The fully automated SmartOS Management System ensures a truly plug and play experience and provides all the features necessary to handle the challenges in today’s fiber network requirements. The system automatically adjusts to the correct power levels and intuitive front panel LEDs guide the user through the installation process. DCP-M is exactly like using a passive multiplexer, but unlike a passive multiplexer it monitors the traffic, amplifies the signals for longer distances and can handle higher data rate protocols. With all the features usually reserved for the more complex DWDM platforms fully integrated in to a simple plug and play 1U module, DCP-M doesn’t require a separate amplifier, complicated set-up and management, and no dispersion compensation and traffic cards to configure. DCP-M provides everything required for an open line networking system without the messy wiring between modules or spares handling typically associated with the bigger systems.